Cornerstone hit a major milestone before the year ends by signing one of the Philippines' top real estate developers. On December 11, 2017, property development firm Globe Asiatique Realty Holdings Corp. (GA) officially signed adding to the list of real estate developers who trust Cornerstone as their real estate management system provider. Present on this event was Globe Asiatique's Executive Vice President TBram G. Cuyugan - Cornerstone's program manager, Charles Hernandez. Globe Asiatique Realty Holdings Corporation engages in developing and selling real estate properties, primarily residential houses, and lot and condominium units in the Philippines. The company also leases spaces for commercial use, such as offices, restaurants, and retail shops; and offers a range of services to assist in residential developments, including tenant sourcing, screening, unit viewing, document processing, key handling, and facilitating payments. Globe Asiatique Realty Holdings Corporation was incorporated in 1994 and is headquartered in Pasig City, the Philippines. The company is committed to contribute in providing quality real estate properties for the Filipino people. 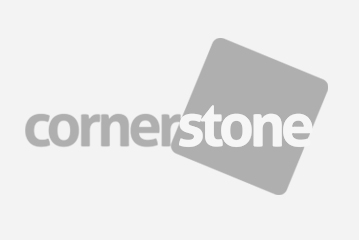 And Cornerstone will help in achieving their vision with the use of our real estate management system. Cornerstone is an all-in-one real estate management software that is designed for real estate businesses in the Philippines. The software offers wide variety of features like Accounting Management, Inventory Management, Construction Module, and a lot more. Cornerstone is a locally developed real estate management system created and maintained by Forward Solutions Tech Lab. To know more, please contact us.